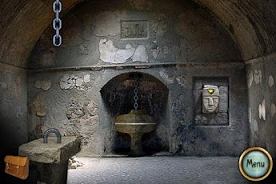 It's time for a trip back into the dungeon! This time, though, it's not as a roguelike (although there are some coming soon). Instead, it's in the guise of a...match-3 game? Yes, amazingly, there is still life in the most staid of casual game genres, as Fireflame Games demonstrates with this very cleverly themed adventure game. But seriously - match-3? In Dungeon Raid, you start off a new game by selecting a difficulty level (Easy, Normal, Hard or Harder) and an adventurer class. At the start of the game, you only have one choice, the Adventurer, with no options for customizing any part of it. As you play the game, more classes will be unlocked, along with customization options for them in the forms of different perks and difficulties that will be applied. The classes do end up playing differently, especially when you start dealing with the nemesis of each class, and having unlockables to strive for is always nice. After you have your character selected, it's off into the dungeon. The main screen includes a 6 by 6 array of icons, which typically are swords, shields, potions, coins or skulls. You trace a path with your finger to connect three or more of the same symbol, including diagonally. What happens next depends on the icons you traced. 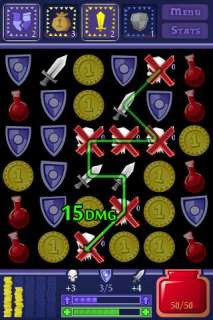 For shields, you increase your stored defense with the excess going towards equipment upgrades. Coins increase your treasury, which will eventually give you more equipment to purchase. Potions will heal your character. Finally, swords and skulls are matched, with the latter being monsters with attack, defense and health values. You generate damage to monsters when you connect swords to them, using your character's base damage with a bonus for each sword connected in a run. Subtract the target's defense and apply the result to its health. When you blow up a skull, you get experience to allow your character to level up (and gain benefits). After you trace, the icons disappear and stuff falls down from the top. On top of this basic chassis, your character will earn skills which have a variety of effects (many of them pretty significantly changing the game state) and there are also boss monsters who show up. Those boss monsters take some planning to deal with, especially a nemesis monster, who will have special requirements for what you have to do to defeat them. Things can go south in a hurry if you aren't careful. It's also the case that the decisions you make on what to upgrade, what stuff to purchase and what upgrades to get upon leveling up is non-trivial, and you have to decide on a strategic approach to the game. Those upgrades also come at a good pace, keeping you interested, and the boss monsters show up at a good pace as well. There are also a lot of very professional things to appreciate about the game. It does a great job of saving your state all the time, so you can hop in and resume a game quickly right where you left off, a feature that is really important to me. There is a well-done tutorial to get you running quickly. There is a great variety of equipment, skills, monsters and character classes to keep you interested, meaning that despite the relative simplicity of the basic game, there is a lot going on. I also like that the game can get vicious in a hurry. The developer has done a great job tuning the game to be quite engaging. The physical mechanics of playing the game are also pleasant, with the act of tracing a really long path being quite satisfying. While it shares the attributes of casual games in how quickly you can pick it up, I think there's some good depth here, and it's quickly become a favorite on my phone. I'm going to give it 4.5 stars out of 5. The Lost City from Fire Maple Games is an attempt to bring back the excitement that Myst produced in the early 90s. I never really jumped on that bandwagon because I was busily studying and working away at in college at the time, but I did eventually try the game many years later. For whatever the reason it didn't really draw me in. The Lost City is essentially a point-and-touch adventure game. In it you are returning to an island in search of the lost city in order to return an artifact that your grandmother passed on to you. Each location is essentially a static picture with minimal graphical effects such as perhaps a little running water or rain or a glowing orb. You navigate by tapping on the edges of each frame (i.e. tap the bottom to go backwards) or on things within the frame (i.e. a path leading off into the distance). As you do so a map is weaved together that you have access to via your backpack. Your backpack also contains a journal so as you discover things of interest (and the game auto adds such things to your backpack so you'll KNOW it's of interest) they are scribed for later viewing. As for the puzzles, many of them rely on recognizing that this shape I found over here fits a puzzle over there. Or this object makes sense if it's use on that. The game requires good observational skills so that you don't miss anything in a location and reasonable skills at putting things together. On a personal note, I found the game to be pretty much perfectly attuned to my skill level whereas I recall Myst feeling a little too difficult for my lack of patience. Generally speaking, if I'm stuck on something for 5 minutes in a game like this then I move on to something else, however, The Lost City actually includes a built in hint system to prevent that from happening. Graphically the still frames are very attractive and the audio is a nice accompaniment to the game. The map feature is nice as well because it makes it pretty each to ensure that you don't miss a location as unexplored locations will show as a line linking one location to nothingness; however that's also the case if something is preventing you from advancing such as quicksand. My only complaint with the map is that I think it would be nice if I could just tap on another location to get there versus having to execute the correct sequence of taps to march to said location. True adventure games (not RPGs) are in short supply on Android so this is a nice addition and at $.99 it's s steal of a game. There's far more than a buck's worth of entertainment going on with this game. If you've looking from some adventure from the comfort of your couch then look no further than The Lost City. I've been pulled into this world and I suspect you will be too if you have the slightest interest in adventure games. 5/5 stars. Any user who spends substantial time on BoardGameGeek is going to read about a card game called Tichu at some point, a favorite of one of the site founders and many of the long-time users. The game has now been brought to Android, and it was an automatic buy for me, as both a fan of the game and someone who loves board and card game adaptations above any other category of game for my phone. Did the game make it over intact and how is the interface and AI? Tichu belongs to a category of games that are called climbing games. A climbing game is one in which players take turns playing onto a central pile of cards (confusingly called a trick here, terminology that will be confusing to Bridge or Spades players), with each play being a bigger combination of cards. So if a player has played a three-of-a-kind, a valid play would be a higher three-of-a-kind. Each climbing game has a different set of rules about what are legal combinations and what types of plays count as a raise. 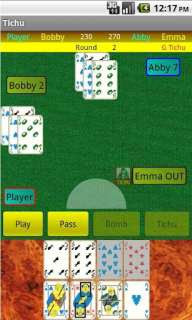 Once all players have passed, the last player who played claims the cards and starts of the next play with any choice of combination that they want. Usually, the goal of these games is to get rid of all your cards first, and managing which cards you have that will get you the lead and doling them out carefully is usually the key to success. In Tichu, the game is a partnership game, which provides interesting dynamics, as you seek to help your partner when possible. Tichu is played with a standard deck of 52 cards (with new suits) with 4 special cards added. Each special card has a unique function, from transferring the lead to your partner (the dog), a wild (the phoenix), a card that always wins but can never combo (the dragon) and the card that determines who leads but is the lowest card in the deck (the mahjong). The combinations that can be played are similar to poker hands, but with the addition of consecutive pairs and with flush not being playable. Four-of-a-kind and straight flush combinations are called "bombs" and can be played at any time to try and steal the lead, otherwise you always have to play the same combination as the player before you (just increasing the rank of the cards). Beyond the peculiarities of the deck and the wrinkles from being a partnership game, Tichu also includes exchanging one card with each opponent at the start of each hand as well as intricate scoring rules. It's a game that requires some adjustment to learn and practice to play competently. The first question, with any board game adaptation, is how good the interface is. Here, the Tichu app is a bit of a mixed bag. The cards are a little bit smaller than I'd like, especially on my tablet, but not bad. Given the continuous nature of a round, the scrolling list of plays is probably a pretty good compromise and it works reasonably well. It can sometimes get confusing telling who has passed and whose turn it is, and the pauses in the UI (which are necessary for bombing to work right) are a bit of a hassle, but it's pretty good and certainly playable. I'm not sure how easy it will be to learn the game from the application, since I already knew how to play, but the instructions included with the game seem decent (although they lack a few nuances of scoring). The interface will certainly work better for folks already familiar with the game, though. The actual play experience, meanwhile, relies heavily on the AI for the play quality. Here, I'm pleased to report that the AI is solid. It does seem to make some mistakes in play, but I still do as well, and it's not a bad match up for me. The difficult decision of when to call "Tichu" seems to be handled well, and the computer seems to play good defense on hands. I was pleasantly surprised by the quality of the AI, actually. Online play is supposedly coming, but I almost always play these kinds of games on my phone single-player, especially since I play on a bus going through a bus tunnel much of the time, so online play doesn't appeal to me but is important to others. The lack here may turn some folks off. There are some stability concerns with the application. It occasionally crashes and sometime the game state is corrupted so that whenever you try and resume a game it will repeatedly crash. There is a "Reset" option included on the menu to rescue those situations, which is helpful, but it'll be nice when the stability issues are knocked out. It's thus far been a minor irritant and not a major problem. Overall, I was pretty impressed. For fans of the game, especially those who enjoy it but aren't necessarily masters, it's an excellent game to pick up. I don't know how an expert level human would do, it may turn out that the AI is no match. For folks who enjoy complex card games or partnership games, it's again a recommended purchase. Since I haven't found a great Bridge app yet (one of these days I'll spring for the $20 Bridge baron), this is kind of the next best thing for me. People looking for a casual game that is easy to pick up might want to stay away. It's a little bit of a tricky game to rate, since I think the audience is somewhat narrow, but it's of high appeal to those folks. And at $2.99, it's a little bit more expensive than some other games to take a flyer on. So, it's a 4.5/5 for people looking for a complex, meaty card game (marred only by stability problems) and a 3/5 for folks looking for a more casual experience. 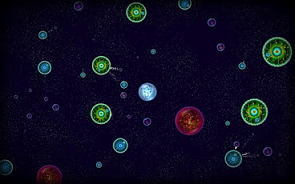 Osmos HD is one of those hit iPad games that really should have made the leap to Android sooner. It's a game that is different from other games and, as with many of the top mobile games, takes advantage of the platform it's on. You see, I really think one problem some developers have with the mobile, touch screen platform is that they're still thinking like console developers and my advice would be that if one of your game decisions is how to get an on screen DPad going then you may be going down the wrong path. Sure, some games are good enough that we might want them despite being primarily console style games, but in many cases the top mobile games just don't work like that... at least not until the external, USB DPad becomes more standardized and that will only be for tablets / larger mobile devices. But what about Osmos? The premise of Osmos is that you're a big, ball of matter that wants to put on some weight so you float around the screen absorbing smaller balls of matter and avoiding the larger balls that would have you for lunch. Movement is done by tapping behind your ball and taking advantage of the physics cliche that "objects in motion stay in motion", but movement costs energy so every tap actually reduces the size of your ball by a little bit. But that also means move a lot... lose a lot or perhaps I should say accelerate a lot means lose a lot. The game, like many premium games, features an excellent tutorial and it guides you into the game at a not too fast, not too slow pace. You'll learn how to move, speed up and slow down the game, access the menu, and so forth with one, two, and three finger salutes and swipes. The game itself is then broken into an arcade based mode and a mission based mode. The arcade mode is a free for all of varying difficulty whereas the mission mode provides different objectives throughout the game play... objectives such as "become big", "gobble up that", or "become the biggest". Graphically, well, there's not too much going on here. It's not that the graphics are poor... it's just a matter of how far one can go when the goal is to create brightly colored balls of matter. The game does color code the balls such that you know red ones are bigger than you, you're a sky blue ball, and other sea blue ones are smaller than you. That's actually pretty important as you don't want to have to rely on a ruler in the midst of game play. The audio, however, is enchanting and beautiful and gives this game that therapeutic feel. This is a game that will lower your blood pressure and yet make you want to keep playing. It's not that intense, kill them all feel that a third person shooter induces in me, but rather that feeling of one with the universe. You want more? I hate to give away much in the way of spoilers during a review, but an example of things to come as you play this game (as this is early) are green anti-matter balls. Absorb them and you get smaller so they are to be avoided. Osmos is a different and special game and one I think everyone will appreciate. It's not new to me as I'd been playing it on my iPad on and off for a year or so, but it's great to have it on Android now, too. 5/5 stars for a game that may very well be in my top ten next time around. And if you're not ready to plunk down a couple of bucks for the game right now (it's on sale for $3 as I write this) there is also a demo available in the Market. As the game progresses you'll earn money and, as with the traditional tower defense model, there will be different types of defenses to push past. The game does stay loyal to the theme by making it so you don't have to wipe out every unit along the way and instead one just has to achieve an objective which may consist of simply reaching a destination point, knocking out a few specific units, or ... etc. With the money you earn the game does, in later stages, let you build your own army of units although it's not for awhile that you really gain any real control of that (i.e. if I have $350 and there are two units to choose from... one costs $100 and another $125 then I'm probably going to take 2 $125s thinking they must be a bit better and a $100... not too much choice). The game also adds, and this is probably the biggest thing, abilities to your arsenal as you play such as smoke screens which is the first extra ability you'll receive. I won't give away more than that as picking up new abilities is a good chunk of the adventure in playing this game. Finally, I should mention, that you can alter your path through the city at any time during the game play should you need to make an additional adjustment after your units are initially dropped onto the map. On audio/visual alone this game is great. Units are nice and detailed. The map provides a beautiful 3D overview that you can scroll around on. The game also features different skill levels. I've focused on the easiest mode which is called Casual simply to make maximum progress in the game before penning a review. In conclusion, Anomaly is a good game, but not a great game. I recall the feeling that the good tower defense games created and that was the immediate desire to play again and to beat previous efforts. I recall some of the issues... one being where I might play for half an hour, eventually lose, but have to do the half hour again to get to the 'challenge'. Anomaly certainly doesn't suffer from that with its bite size missions that might take 5 minutes to complete (making it an excellent mobile game). However, Anomaly doesn't have the extra oomph that really draws me in. 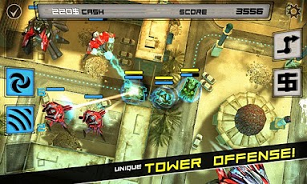 I've been playing it for the past few days and it's been enjoyable and is an excellent job at reverse tower defense... I'm just not convinced tower defense should be reversed. 4/5 stars for good, but not great. At $4 it's among the more expensive Android Market games. It's ashame there's not some sort of demo to give people a better taste of this game before they must buy it as I'm sure there are many that will really enjoy this one, but it's not going to be for everybody. Visit The Humble Bundle for more info. NFL Kicker! is Full Fat's take of field goal kicking in the NFL and relies on their usual interface for flick kicking the ball through the uprights coupled with the ability to provide a helpful, but limited, push after the fact. But, "Hey!" you scream: "We've already got Flick Kick Field Goal.". A game with a much bigger name and bigger is better, right? Before I jump into a comparison let's look at NFL Kicker! on its own. 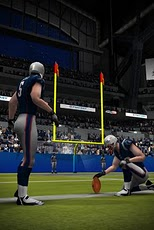 NFL Kicker's graphics are very good and, as you can tell from its title, it has the NFL license so you can suit up as a player from your favorite team and jump right in. Kicking is done just as it is in any of Full Fat's many flicking titles and you'll be taking shots at field goals from a variety of angles and distances with differing wind levels. Adding the NFL license is a plus and for an extra buck its palatable. I want to get to my comparison and avoid repeating myself so let's just say this is a solid field goal kicking game. Ok, so how does it stack up to Flick Kick Field Goal (of FKFG) which is a favorite of mine? First, graphically it's better by a small margin primarily because of the NFL license allowing them to add the players to the screen to spruce things up a bit. This comes at a cost, though, as the game is a bit more sluggish especially on my weaker phone (versus my dual core tablet). If you've got a lower end device you'll probably prefer FKFG. As for game play I do like NFL Kicker's flicking method of being able to apply adjustments after a kick simply because it keeps me more involved with the game. It's no longer flick, watch, and wait. But then NFL Kicker! goes a bit further an adds some extra game modes beyond just kicking field goals all day by adding a Coffin Corner mode where you're trying to punt and down the ball inside of the 5 year line. Is it day and night for this game... no, just a different target with different graphics... but the change of scenery is nice. What's my overall take on things? If you already have FKFG and you're not playing it regularly then I wouldn't add this game to your arsenal... it's not different enough. If you're a diehard field goal kicker then it's a worthy addition. And if you own neither and kicking field goals is right up your alley then it depends on how much the extra dollar and the NFL license matter to you coupled with the assumption that you have a newer (higher performing) Android device. If so then I'd lean a bit more towards NFL Kicker! as I think it's a hair better. 4/5 stars.